PACI has become the leading business voice on anti-corruption and transparency. It is one of the Forum’s strongest cross-industry collaborative efforts and is creating a highly visible, agenda-setting platform by working with business leaders, international organizations and governments to address corruption, transparency and emerging-market risks. Under the leadership of PACI Vanguard CEOs, the community is expanding rapidly and now focuses on implementing a global anti-corruption agenda. Driven by identified needs and interests of its member companies, PACI undertakes initiatives to address industry, regional, country or global issues tied to anti-corruption and compliance. Launched in 2004, PACI serves as the principal CEO-led platform in the global anti-corruption arena, building on the pillars of public-private cooperation, responsible leadership and technological advances. With approximately 90 signatories from different sectors across the globe, PACI serves as the leading business voice on anti-corruption and transparency. Chief executives who want to fully commit to a higher level of leadership in anti-corruption through building trust and integrity are invited to join the PACI Vanguard. The purpose of the Vanguard is to identify innovative approaches to anti-corruption and set global, regional and industry agendas together with leaders from civil society, academia and government by meeting each January at the World Economic Forum Annual Meeting in Davos-Klosters. The Vanguard leads the broader PACI strategy to achieve more meaningful dialogue and impact. A critical component is sustained, high-level joint business and government engagement with a focus on collective action. The Vanguard plays a key role in shaping and collaborating with global agenda efforts, in particular the B20 and national processes to create transparent practices that improve the ease of doing business. The Future of Trust and Integrity project identifies and designs practical solutions that transform intent into impact by leveraging behavioural, institutional and technological dimensions of trust and integrity in the context of the Fourth Industrial Revolution. The first phase of the project focuses on Latin America and Africa, specifically on Mexico, Argentina and South Africa. 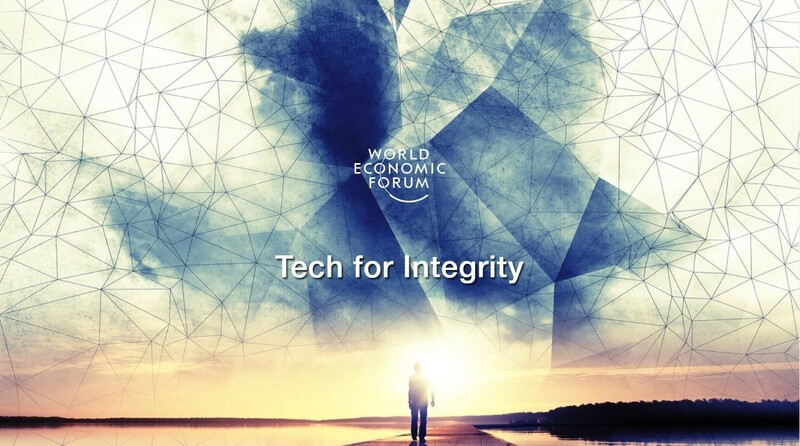 Technology is recognized as the biggest game-changer for addressing corruption. Big data analytics, blockchain, mobile applications and e-governance systems are valuable tools in the prevention, detection, investigation and prosecution of corruption, although they also have inherent risks. In 2017, World Economic Forum Strategic Partners – led by Citi and supported by Clifford Chance, Facebook, IBM, MasterCard, Microsoft, Let’s Talk Payments, PwC as well as 80+ allies and contributors – governments, regulators, Fortune 500 tech companies and international NGOs – challenged innovators around the world to identify technology solutions to address seven common system vulnerability points. The PACI Tech for Integrity platform will leverage this global network of innovators to drive the T4I Knowledge Hub, Synergy Lab and Impact Initiatives. PACI plays a key role in shaping and collaborating with global efforts, in particular the B20 and national processes to create transparent practices that improve the ease of doing business. PACI is developing its network to support the B20 process to strengthen relationships and drive impact and policy reform through public-private cooperation. To become a member of PACI, please complete the PACI Membership Application or contact the PACI team at paci@weforum.org.